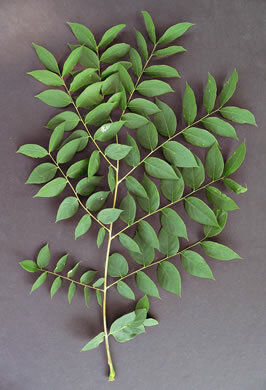 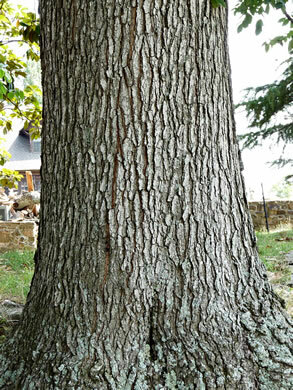 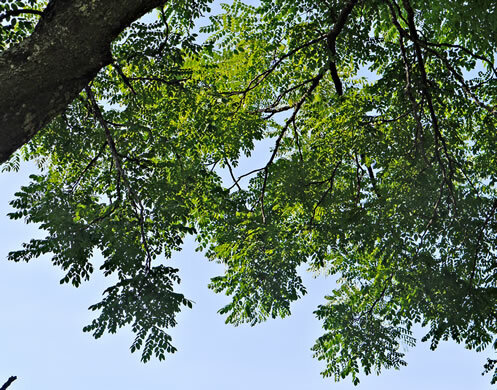 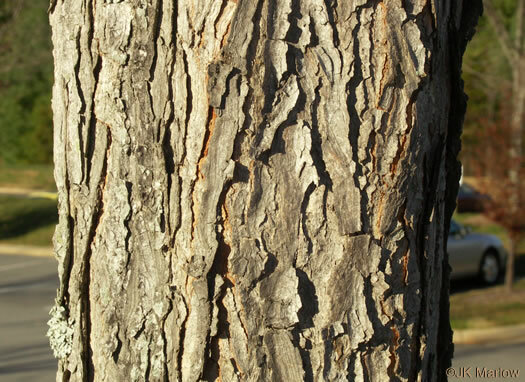 Bark thick, with narrow scaly ridges, per Trees of the Southeastern United States. 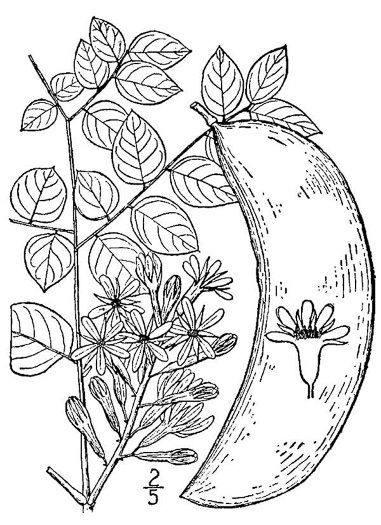 Fruit a brown legume 3-7" long, with large hard rounded seed, per Woody Plants of the Blue Ridge. 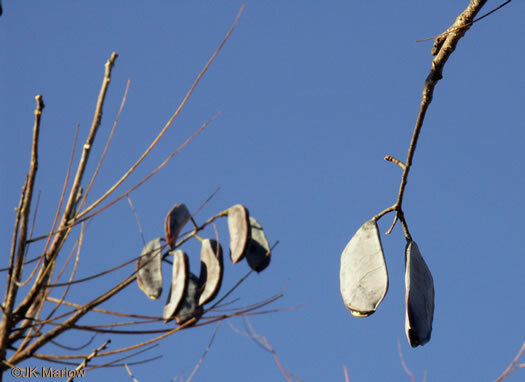 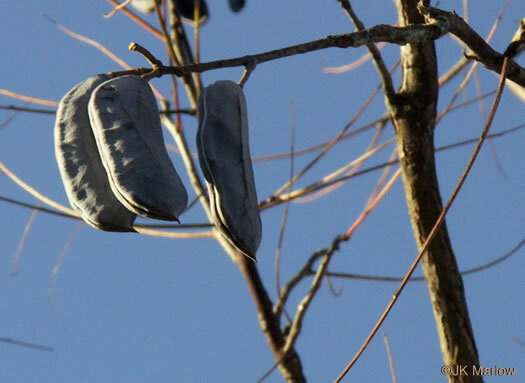 Fruit pods hard, leathery, falling without opening, per Trees of the Southeastern United States.